Bio energy is a life sustaining energy of the universe. It is sometimes called Prana, Chi, or any number of names. It is everywhere in abundance, and without it there would be no life. When our physical body is in balance with all the other elements that make a human being- the mind, soul, and spirit and all of these are in balance with the surroundings in which we live and function, we are healthy. In other words, our health and our illness are a manifestation of our environment and even our worldview. Pearlan Feeney-Grater, Andrea Hachey and James Huggins have been trained by certified instructor, Zoran Hochstater, one of seven privileged instructors of the Zdenko Domancic method. They offer this method of healing at The Self Center as well as in and around the Boston area. This method is based on balancing the energy body, which is our matrix, and which is capable of reflecting an imbalance way before the physical body shows any signs of illness or dis-ease. Our energy field surrounds our body and permeates through. This matrix, our energy field, our defense, or immune system, has all the information about our sickness or health. When our energy body is balanced and surrounds our physical body evenly, we are healthy, but when our energy body is unevenly distributed, we become sick. The balancing of the energy body by the therapist is made possible by the fact that the stronger potential influences the weaker potential. 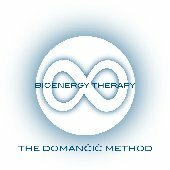 The pre-eminent European healer, Zdenko Domancic, created the Zdenko Domancic Method of Bioenergy Therapy about 25 years ago in what was then Yugoslavia. He now practices and teaches the therapy in Kranjka Gora, Slovenia. It is an incredibly powerful and successful healing modality that has been used by Zdenko Domancic in treating many challenging health conditions for 25 years. The therapist doesn't use his/her own energy but rather directs Bioenergy, which contains all the information your body needs to heal itself. The therapist directs the energy to the part of the body where it is needed, or takes the excess energy away from the part where there is too much energy. In other words, the therapist supplies the body with the information, contained in the bioenergy, which is necessary for proper functioning of the immune system, and the body begins to heal. The therapist doesn't heal. Only the body is capable of healing itself. This therapy directly boosts the immune system, eliminates the pain, regenerates tissue and dramatically increases the blood circulation. It has had remarkable results with many health challenging conditions. The therapy sessions last approximately 10 to 15 minutes for four consecutive days. The therapist does not diagnose illnesses and only acts as a facilitator. For more information, see the movie "THINK ABOUT IT", a documentary about alternative approaches to healthcare and healing with bioenergy, shot, produced and co-directed by Zoran Hochstater - along with his wife Stephanie Cote. Pearlan Feeney-Grater, M.S. CGA, CH, CertEHyp, is owner and founder of The Self Center, an 1863 historical building with energy, spirit and charm. She is certified in the sciences of Neurolinguistic Programming, Hypnosis, Handwriting Analysis, and Graphotherapy. She is a practitioner of Zdenko Domancic Method of Bioenergy Healing, and a Reiki Master who teaches and uses the Usui Method of Natural Healing, Light & Sound Therapy and Emotional Freedom Technique for the well-being of her clients. Pearlan is also a certified/licensed Educator and Speech and Language Pathologist. She assists adults as well as children to achieve their ideal in their mind, body and spirit. Andrea Charron Hachey, M.Ed., is a certified/licensed Elementary and Special Education Teacher, as well as the creator of Write Frames of Mind, a collection of personalized poetry and affirmations customized for specific requests and special occasions. She also holds certificates in C.O.R.E., a specialized method of holistic counseling, the Usui System of Reiki, Master Level, and the Zdenko Domancic Method of Bioenergy Healing. Andrea assists adults and children to find "well being for mind, body, & spirit". James Huggins has been interested in the healing arts since emigrating from Ireland in 1993. He has studied The Zdenko Domancic Method of Bioenergy Healing, Hypnosis, Neurolinguistic Programming, Reiki and SoTai-Ho. He is committed to practicing the Domancic Method of Bioenergy Healing in its purest form. James is currently a part time student at Boston University where he is pursuing a degree in Psychology.